Whether you live in apartments for rent in Burbank CA or somewhere else in the vicinity of Glendale, you’re about to learn about an exciting way that the phrase “dinner and a movie” has been taken to the next level. Like most people, you probably didn’t think it was even possible to innovate dinner and a movie and make it something special, but in 2012 that’s exactly what happened. In fact, in California there are 12 Street Food Cinema locations to peruse for your eating and viewing enjoyment. But we are going to specifically focus on the Glendale events for obvious reasons, since it’s right in your own backyard. Makes sense, right? So the next time you and your significant other decide to go to the movies, think about mixing it up by checking out this delightful outdoor dinner and theater experience. Plus there’s so much more going on that we would love to tell you about today, so if you’d like to discover the truth about Street Food Cinema, we highly recommend sticking around a little while longer to learn more of what it’s about. This event came about because the creators had an amazing idea that they wanted to share with the world. They wanted to create an experience like no other and provide outdoor movie entertainment in a way that really is not done by anybody else. That’s how Street Food Cinema was born in California and it remains one of the most exciting and innovative ways to enjoy dinner and a movie with family, friends, or you can even go for an intimate evening with your better half. What is so exciting about Street Food Cinema and what they’ve accomplished? For starters, they thought of a way to combine delicious gourmet street food, pop-culture movies, intense live music, and an outdoor movie viewing experience that is so different than traditional movie going that you won’t even recognize it as being in the same league. Most important of all, the organization has gone out of their way to create an experience that is so wonderful, so unique, and so different from the norm that they know you’ll be dying to come back over and over again. While eating dinner at the movies is not exactly brand new, they’ve created this experience in a way that is very different from the norm, which is what many people want because they’re sick of doing the same things day after day after day without any change whatsoever. As an example, let’s say you’ve been dying to see Ferris Bueller’s Day Off on the big-screen but the movie has been out of the theaters for more than 30 years so you assumed your opportunity to make this happen was no longer possible. Well, if you made this assumption you’d be absolutely wrong, because Street Food Cinema in Glendale is going to be showing Ferris Bueller’s Day Off on the big-screen on September 15. But the proposition gets even more interesting, because while you’re there you get to enjoy some of the most delicious culinary masterpieces on some of the most tasty food trucks in the area. Even though mobile kitchens have been around for a long time, the gourmet food and delectable dishes that these food trucks have to offer will keep your mouth watering for seconds throughout the entire movie. And let’s not overlook the music, because it’s also an incredibly special part of the overall experience. Before the movie even begins, you will have a chance to see live bands – literally some of the most progressive bands in the area – play their songs for you and everyone else in attendance. So there you have it. This is the reason why Street Food Cinema is changing the game entirely. If this sounds even slightly appealing to you, you and your loved ones should make a point to visit their website to find out when the next movie is going to be playing in your area. This is not like a regular movie theater and movies aren’t available every day, so remember to check in often to find out the scoop. What Movies Are Going to Be Available to Watch in Glendale in the Upcoming Months? 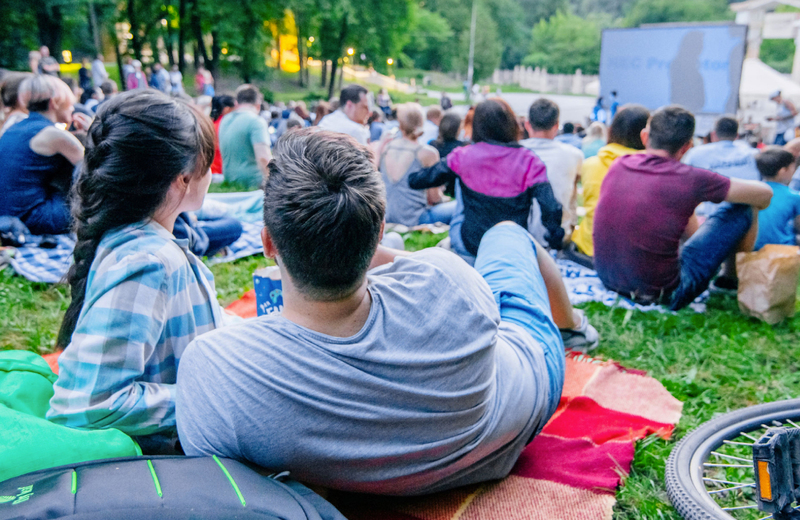 If you and your loved ones in Glendale are planning to see a movie at Street Food Cinema in the near future, you’ll definitely want to check out the upcoming lineup to find out which movie to attend. The cool thing about this outdoor theater and gourmet food extravaganza is that they do not play the latest Hollywood blockbusters. In fact, they play the best movies that pop-culture has to offer and many of them could be from decades ago. This is all the movies they have posted as of this moment. But they regularly update their website whenever they add another showing, so you should remember to check Street Food Cinema’s Glendale site often to learn about upcoming events.